We could bamboozle you with jargon to try confuse you, make you think we know what we’re talking about, BUT, dumb people fall for that goobledy gook and it’s a proven sales technique that is taught at sales school. “Be flamboyant and confident enough and you’ll make them think you can do it,” right? Fake it till you make it? WE DON’T DO THAT. We don’t need to fake it, we’ve made it happen time and time again. So, we are looking to work with smart teams, clever innovators, people who are ideas people who want big success! Who work as hard as we do, and who know they don’t know everything and need us to point the cursor in the right direction. If you aren’t straight down the line like we are, then you are not going to get the best out of us and we are not going to be the best we can be for you. But if you’re a clever one, and are sick of sales fools trying to sell you their PR Marketing jargon, then jump in! We will slash your leads costs! We don’t muck around. Come to us with a budget and we’ll tell you what you can achieve. Come to us with what you want to achieve and we’ll tell you how much it will cost. If you want exceptional service and results, we are your team. 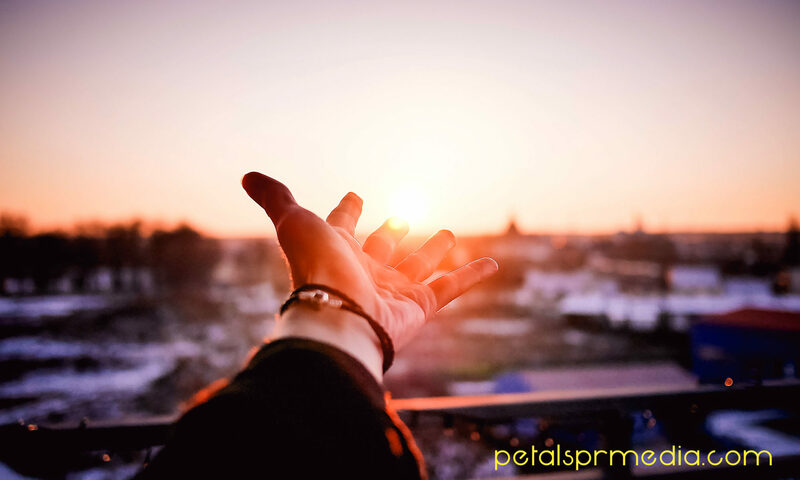 10 Years in the traditional media industry has given Petals PR&Media the insiders edge when it comes to generating fantastic Public Relations results. Content derived from experienced members of the media industry means greater success when working with marketing teams to achieve their objectives. Without that edge your content reach is limited. Don’t have a marketing team? We can manage that for you too. A good public relations agency ensures that they are constantly presenting the news to the media in a creative and interesting way. We are not just a good PR Agency, we are a great one! We work with news outlets to facilitate publishing content for our clients by proactively providing them with content and stories (that we’ve developed) to our media contacts. By generating publicity, your brand’s credibility increases and audiences can learn more about your company through key messaging, strategic outreach and editorial coverage. As your PR Agency, it’s our job to generate and manage publicity for your brand and business to effectively communicate your message through various media channels. Media strategy sets the foundation for an integrated, well-timed and well-planned PR campaign. By combining multiple media channels including advertising, public relations, event management and social media, Petals PR&Media creates PR strategies that meets our clients objectives and ensure maximum impact and results. We consider all angles of the strategy and work with our clients to meet their objectives. All PR campaigns are different and its so important to strategically map out the campaign tactics to promote your brand. The digital landscape changes constantly, multiple media channels are critical for a long term, ongoing, effective and strategic PR campaign. We are on top of all of those things. With a background in print journalism we have the inside knowledge of what media outlets are wanting from PR agencies. We run a proactive press office which sets the foundation of your campaign. As the conduit between the client and the media, Petals PR&Media has developed relationships with journalists across the nation, who print editorial for our clients. We create the news stories and work along side media outlets to fulfil their requests to lock in that all important press coverage. Petals PR&Media has provided results on a national level and maintains fast response times. The most important thing advertisers don’t realise is they can leverage their spend. Advertising sales people will tell you getting a published article will cost you more money. We can negotiate your extras by leveraging your advertising spend. We’ll then create the content you need to take advantage of that deal. Increasing your chances of being noticed. Using the tools, tactics and style of journalism to tell a company’s story is an essential part of Brand Journalism. Consumers have become wise to the marketing ploys of companies and bored of the hard sell, and they are not likely to take anything at face value anymore. Traditional forms of marketing are not working like they once did and todays trend has moved towards brands telling their personal story to become more relatable to the consumer. Building trust with the person engaging with their business means customer service is making a comeback and along with it a customer centric approach. All that begins with the company introducing themselves and what they have to offer, whilst creating a familiarity that breeds brand loyalty, producing return clientele. Social media is the now when it comes to Public Relations. Not many people are going to your complaints department to register a complaint that will most likely be filed in the bin. They will take to your social media page and share their views on their experience (or lack there of) with your company for all to see. Who better to deal with that than a PR agency. We have extensive experience in social media and work with clients with a fan base of tens of thousands of people. Once reliant on traditional media channels to get your brand message out into the public sphere. Today you can be your own publisher and PR couldn’t get any easier. Every website and company worth its weight in the digital world is blogging. A common term used today is “Content is King.” Google algorithms pick up fresh, new, interesting content that you publish and will place you at the top of their search engine results pages. The more blogs produced the better you search results. Best practice tells us to blog every day. However, you may only need to blog twice a week if your competitors aren’t as savvy as you when it comes to being on top of the blogging game. We have now generated to many blogs to count and still producing. Our clients have gained thousands of leads from our SEO rich content, tailored to grab the specific attention of their potential clients. With digital platforms in abundance there is no better time to be embracing PR. With a great many platforms available that are right for your brand, all you need do is focus on getting your brand image out to your target audience. We specialise in tailoring digital strategies that drive your brand message throughout social network platforms, attracting an audience interested in your product. We develop brand-specific content, designed to grab the attention of your target audience, and drive them to your website or store. We specialise in producing excellent content for our clients. So why not specialise in the digital world of blogging? That’s exactly what we’ve done. In the digital age content is king and telling your story is what we do best. The best way to get your story out into the market place is to blog and share that content on digital and traditional platforms. We can transfer your existing website to a WordPress blogging site or create a new WordPress platform and get you started on your creative content journey. Would You Save $2.95/mo for Unmatched Website Speed? It’s incredibly important to have images available to compliment your PR copy. Our talented photographers are trained in photo journalism and are switched on to what type of images media outlets are looking for and will capture your companies story in a way that will get published.